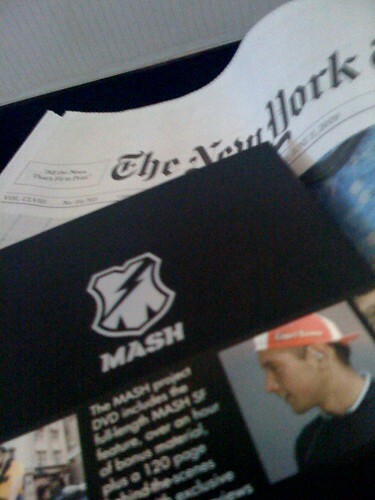 On the plane back from MPLS with the NYT and the MASH SF dvd booklet. MASHSF pushed fixed towards the tipping point (about 2 years ago). 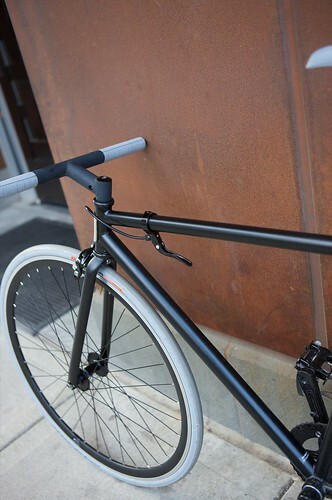 Garrett Chow is a member of the world-famous Mash SF Crew and the creative director of the just-launched Globe Bikes. The book and DVD tells the story of cyclists who ride track bikes on the hilly streets of San Francisco – sometimes with no brakes.